Dynamo prints more free XP. Although Cherry Blossom is decent too. And yea, given you have enough signals, 1 mil free XP in 7 days is absolutly realistic. How do you get so much fxp in the operations? Do you just get a really high amount of base xp or what? About what kind of reward can i expect if playing these operations with random teams and such, or do you need a proper team for these kind of rewards? 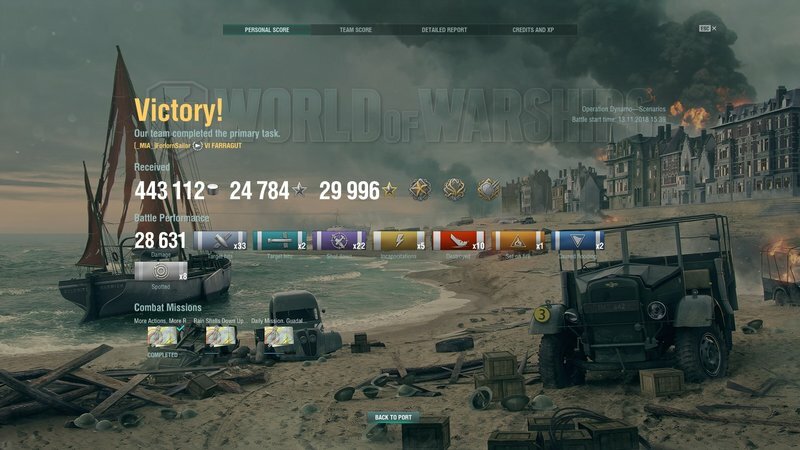 Back when Missouri was introduced as first FreeXP ship, 750k was fine, since we didnt have those crazy flags + camos were also not as good overall (or you didnt have that many). Nowadays i feel that 750k is a joke. Atleast if you play enough or farm hard enough. For someone who wants to convert XP to FreeXP its a different story, but imo that shouldnt be the maingoal for those ships. It should be rewards for playing a longer period of time so you accumulate FreeXP which you cant use otherwise. Set a price for FreeXP ships like we have now, but if you buy one, the next one will get more expensive (not sure how much, but a little bit) and so forth. With the amount of FreeXP some ppl accumulate, they get these ships regardless if its 750k or 1m. But if it would become more expensive for them, atleast they would feel a need to grind more FreeXP. How do you get so much fxp in the operations? We play 4-man Dynamo, if we play equally good we get ~2,5k-2,7k each. If we swap one player to someone less experienced, or someone has a bad game, the best one can go as high as 3,4k~ (what we have seen so far). And you basicly are guaranteed to get 5 stars. Or was that a wild guess? Or just to tease us? You absolutly need a bunch of guys, that know what they are doing. Also, random wont work, since you have too many players, thus lowering your base XP. What you do, is this: Take 4 people, pick the right ships, the right operation and grind. This is how Dynamo works with 4 people. I got premium acc, all economic signals exept Hotel Zulu (50% cpt XP) and in that case Spring Sky camo. Obviously it was a guess. 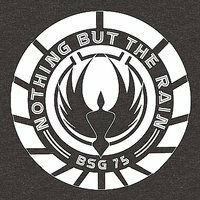 However we are talking here about WG. Nothing can surprise me. It's also a nice way to grind some ships more quickly. Record so far (thanks to the chinese camos) is buying Jervis in the morning, put a 10pt captain on her (maybe give some skillpoints with ECXP I accumulated with the halloween ops) and from stock configuration 5 battles later I elited her and unlocked the Lightning that afternoon. I do grind ships the hard way as well, but this is not only about the grind or about the FXP or whatever, it's also a challenge and an adventure in itself to find ways of making this work somehow. Because in the end the extra FXP may be meaningless if WG decides to jack up the prices and limit XP boosters more in the future. My guess is that part of the reason to release the 3 new dragon signals was to give non-Missouri owners also a chance at +1m credit games. But such extra signals also make it easier to stack for XP/FXP/ECXP. If Alaska goes free XP, as a fellow tier IX it should be 750k free XP just the same as the previous free XP premiums. Sure WG set a precedent with the Jean Bart for infalting its coal price compared to the Musashi but I'm pretty certain that's mostly due to driving more people to buy the ship in the premium shop rather than farm coal for a good while. So unless WG also wants to sell the Alaska in the premium shop, which personally I'd give a 50/50 chance due to the backlash from the Jean Bart being sold though obviously WG might just look at the NA market and think "easy rubels, comrade", I wouldn't expect an increased free XP pricing. The argument about how easy it is to get lots of free XP with premium signal flags and camouflages imho is irrelevant as that's an entirely selfmade problem by WG given how they've been throwing those around and using that as an excuse to charge more than before would no doubt upset a good chunk of players that don't play as often and run premium time plus all the premium shenanigans to hoard as much free XP as the more active players. Though before these new XP boosters became more commonplace, I could still get battles with 17k FXP when I played my cards right. Now the absolute max has definitely risen above this 33% threshold, but in the end it's about average/sustained gain and not about peak gain. Given the rise in price of roughly 33%, I'd reckon Alaska would be something like 1m FXP as well. And I'd be fine with that. Not to say that ways to acumulate FXP could be nerfed in the near future, as already happened several times by now (old Narai RIP). One could argue that extrapolating on current inflation, the Bourgogne could then cost something like 40k steel or so? Same goes for coal now. Because the price increase would hit the less active part of the playerbase much harder than those who play more regularily. Plus those camouflages with XP bonuses were also regularily being sold in the premium shop. It simply wouldn't be an equal price increase across the board. 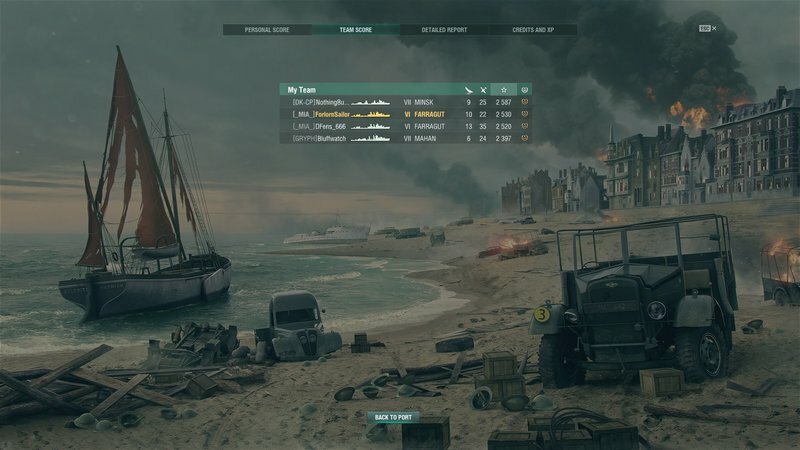 And once more, the whole thing with active players having stupendous amounts of free XP is entirely selfmade by WG so rather than increase the pricing to leech away at their free XP hoards it would've made much more sense simply not powercreeping signal flags and camouflages into giving more and more free XP bonuses. I remember when camouflages were good when they gave +50% free XP and amazing when they gave +100% ... these times we have camouflages with +777% free XP. Why? Just so they can sell them on the premium shop with no worry about the ensueing free XP inflation and now we have this argument. I'd also want to make the point that I'm not saying this because I don't have free XP, I have well over four million and could afford even inflated price a couple times over. Because the price increase would hit the less active part of the playerbase much harder than those who play more regularily. It simply wouldn't be an equal price increase across the board. I have to kinda agree with this. And players (or at least some of them) like to adventure around and see if they can pull off some amazing stunts and new combinations that give some sort of advantage over the rest. 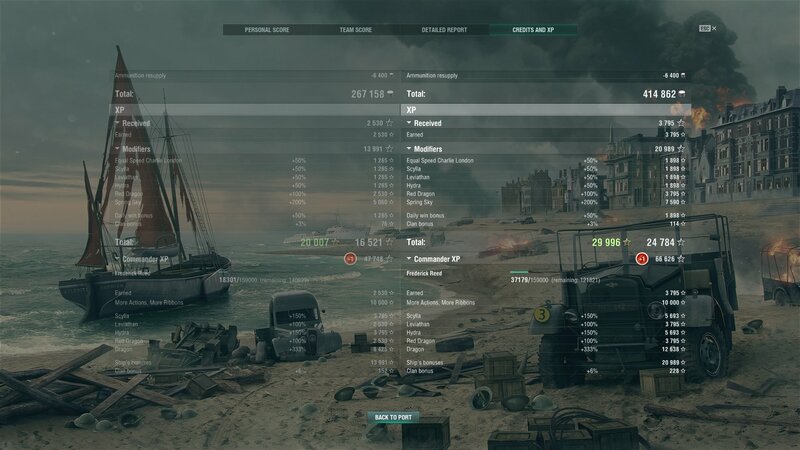 Stacking XP is one of them, I am not joking that there's plenty players who simply didn't get the memo and think grinding FXP is about putting an ESCL and a papa papa onto each ship that they play, slowly accumulating FXP that way. To them things like farming for FXP are kinda alien to them, so they won't understand how others can pull off stuff like that. But the powercreep is a real thing and the inflation was to be expected. It's an obvious thing that was bound to happen. The only question was when. Which is why I'm saying that argument in defense for increased free XP pricing makes no sense. Especially since the impact on players wouldn't be proportional, making it an inherently unfair solution to said problem of free XP abundance. Frankly, I would expect less and less ships available for free XP, now that they started to sell tier 9 premiums for cash. And I actually looked forward to owning bourgogne....well fuk me sideways...should've known better than to get my hopes up. I hope so too. Alaska is a really beautiful ship and many people were waiting for her for a long time. And IMO Bourgogne isn't unique enough to justifie spending steel on her. She should be a coal ship.